So you’ve come up with a product that has the potential to be a huge success. But you’re not sure how to go about with the launch. You’re right to be concerned about your product launch because with so many products in the market, there’s a huge risk of failure. You need to come up with an idea that makes your product stand out and attract your target audience. Take a look at some of these actionable product launch ideas along with real-world examples to help you out. If you’re a marketer, you’ve probably heard of influencer marketing and may even have used it yourself. 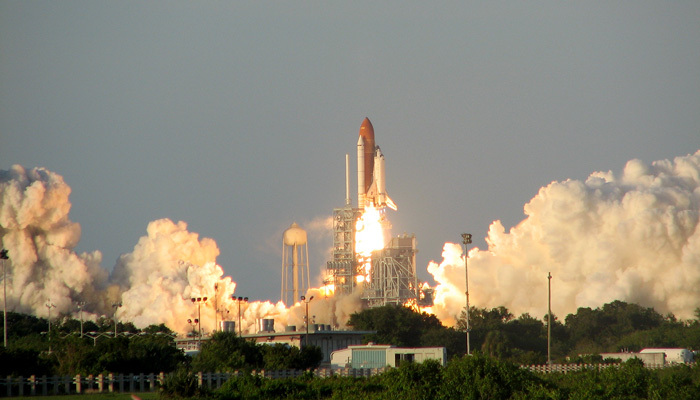 This marketing channel can be used effectively to leverage your product launch efforts. Influencers have a massive reach and a band of loyal fans listening to what they have to say. They could be the ideal medium for spreading your brand message. It’s also a great way to earn loyal fans well ahead of your product launch. The key to pulling this off is by finding the right influencers relevant to your brand and products. This is because you have a certain target audience to market the product to and you’re going to need the influence of individuals who have a certain authority within that target market. For example, your product is an energy drink and you want to market it to health-conscious consumers. So the right influencers will be influencers in the health, fitness, and lifestyle niches. 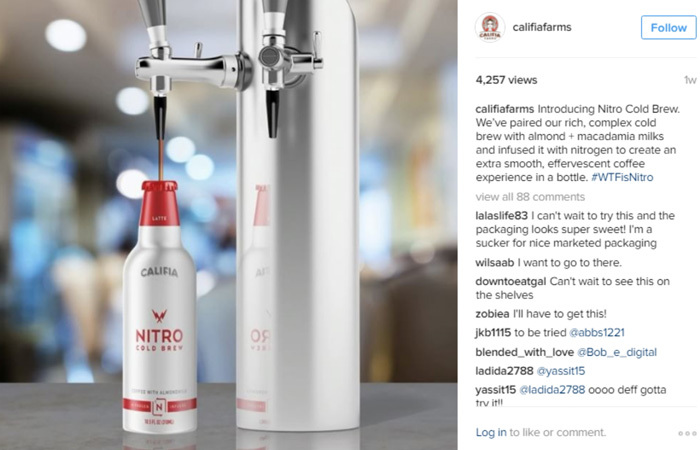 Califia Farms makes an excellent example of this by partnering with relevant influencers to promote their new line of Nitro Cold Brew. They launched the #WTFisNitro campaign with the help of bloggers and influencers in the food, lifestyle, and health niches. 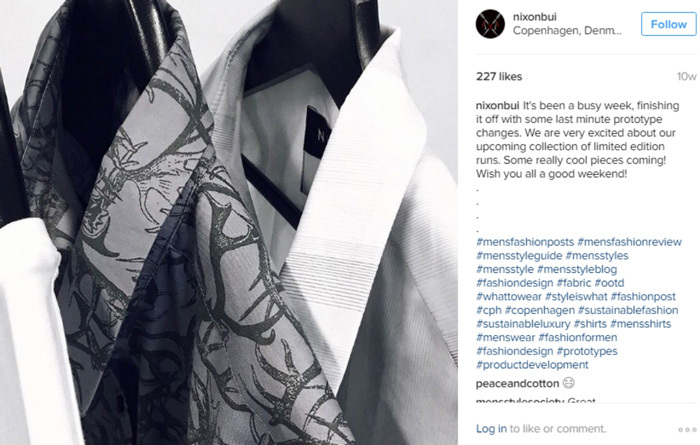 The brand focused mainly on micro-influencers with a sufficient following. Fitness instructor and blogger, Lindsey of @nourishmovelove is another influencer they chose to work with. The influencer has more than 6,000 followers on Instagram. 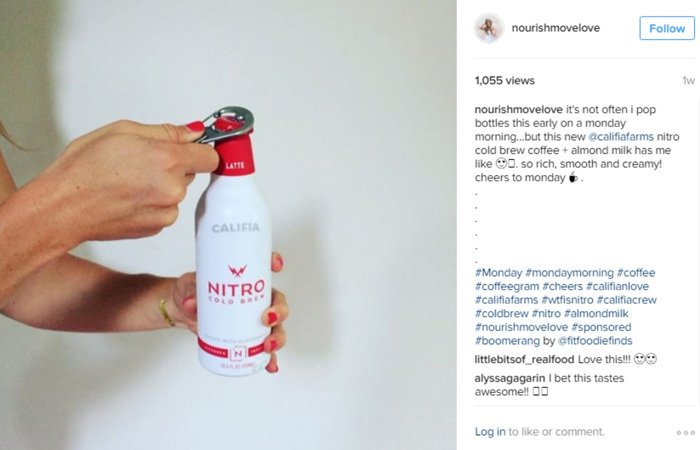 She posted a video of herself opening the new Nitro Cold Brew from Califia, generating more than a thousand views for it. When you’re launching a new product, you need to create anticipation in the target audience as you need them to be excited about the launch. Running a contest related to the product launch is an excellent way to do this. Create a contest in which fans have a better chance of winning if they help you spread the word. For instance, you could run a photo contest using a unique hashtag that will help spread the word about the new product and the contest as well. Additionally, you could also encourage fans to tag their friends in the comments and let them know that with each friend they tag, they have a better chance of winning. The rules could vary depending on what you wish to accomplish, but make sure you create a prize that people would actually be enthusiastic about. This could further build the hype about the new product. Here’s an excellent example from Bather’s Beach House, which hosted a contest through Facebook a few days before they opened their doors to the public. The giveaway contest involved an exciting prize – a beach house getaway to Bali for four people. So the contest prize stays true to the theme of the restaurant and it’s a prize that would attract plenty of the restaurant’s target market. 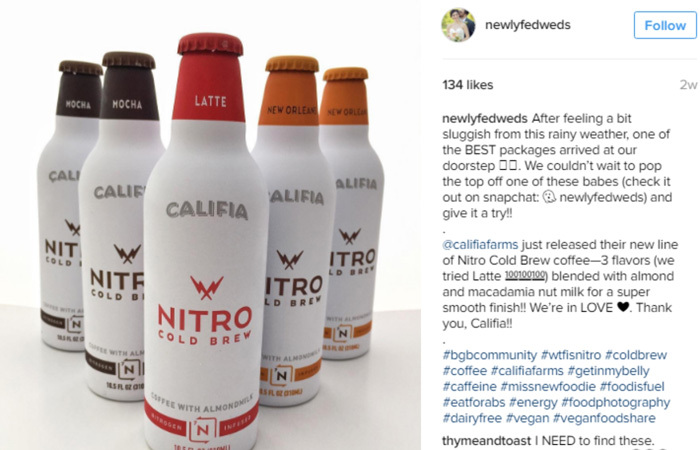 When you’ve built some hype about your new product, you need to ensure that your audience remains hyped about it. Keep them updated with the latest news and progress in the development process especially when the launch date is dawning close. This is how you engage them way ahead of the launch date and keep them interested until you can actually provide them with the product. Social media platforms offer the perfect channel to do this. You can regularly post intriguing videos or beautiful images to showcase what’s going on behind the scenes of the production. If it’s a physical product, you can give them glimpses of how you’re creating the product or photos on set at the photo-shoot of your product catalog. For non-physical products, you could show your team at work or post relatable images of what your team is experiencing throughout the pre-launch process. 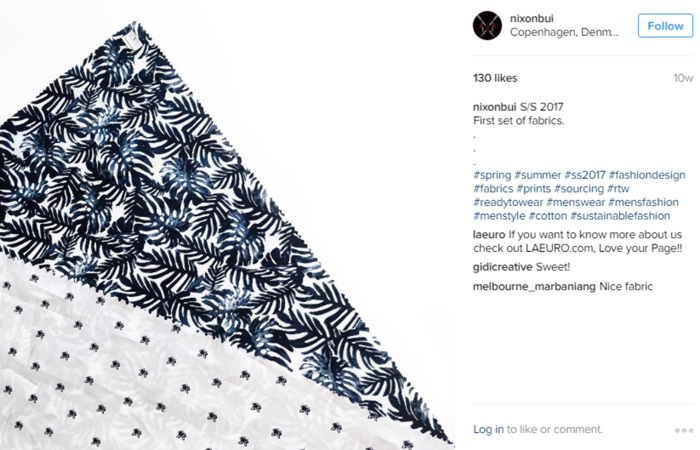 Menswear brand Nixonbui decided to give followers a glimpse of the fabrics they will be using for the Spring/Summer 2017 collection. Additionally, they provide followers with a sneak peek of their limited-edition collection, showcasing just a small part of the shirts in the collection. These are all excellent examples of giving your audience a behind-the-scenes look into your brand and production. As the launch date draws closer and closer, you can further build a hype for the product by starting a countdown. 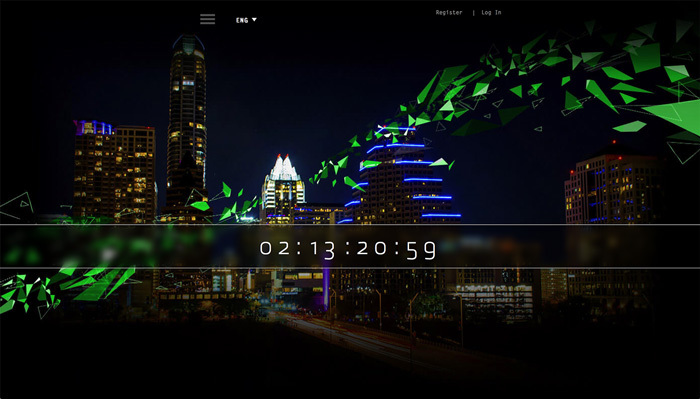 If you have a pre-launch page in place, that’s the perfect place to showcase a countdown timer like Nvidia did through their Order of 10 website. The website was specially created for its new range of graphics cards. You can further build hype across various social media sites by posting images of the number of days left until the launch. Maybe you could even go so far as to update your official profile picture with a number every day throughout the last week of the launch. There are a number of ways to showcase the countdown; just make sure you do it in a way that will get people excited for the launch. There are way more product launch ideas than the ones illustrated here. You can always get inspiration from them and use these examples to come up with a launch strategy that ensures the success of your product. Ever launched a new product? What tactic has worked for you in the past? Feel free to share your thoughts in the comments. Cover photo courtesy of Austin via Creative Commons.